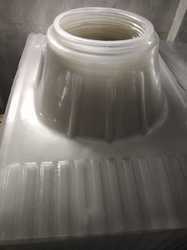 Pioneers in the industry, we offer polycarbonate cement nail base, polycarbonate base 12, polycarbonate ventilator base plate, polycarbonate base plate 6 nali, pc base plates and pc domes from India. We are the leading firm of Polycarbonate Cement Nail Base. To sustain the quality, our products are made under the guidance of industry certified professionals. In addition, we present this product at nominal prices. Our Turbo Ventilator Polycarbonate Base Plate are manufactured using Vacuum Thermoforming Machines. 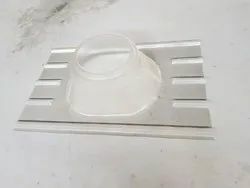 Only 100% virgin Polycarbonate Resin (either Bayer or Sabic make) is used for manufacture of our premium range of Turbo Ventilator Polycarbonate Base Plate. Our Base Plate are provided with a 30 Micron thick protective U.V. Coating on both sides to help guard against the degenerating effect of the harmful Ultra Voilet Rays of Sunlight. Features Leakage proof , Light weight, Highly durable. 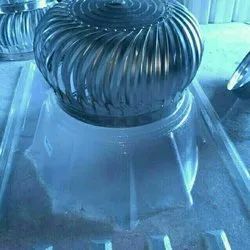 We are one of the leading manufacturers of a wide range ofPolycarbonate Ventilator Base Plate for wide ranging industrial and other applications. Our Polycarbonate Ventilator Base Plate are manufactured using Vacuum Thermoforming Machines. 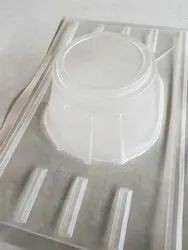 Only 100% virgin Polycarbonate Resin (either Bayer or Sabic make) is used for manufacture of our premium range of Polycarbonate Ventilator Base Plates. 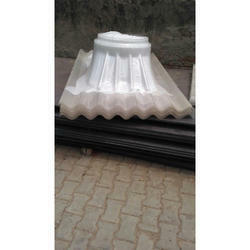 Our Polycarbonate Domes are provided with a 30 Micron thick protective U.V. Coating on both sides to help guard against the degenerating effect of the harmful Ultra Voilet Rays of Sunlight. Dimensions 5', 5.5', 6.0' & 6.5'. We are one of the leading manufacturers of a wide range of PC Base Plates for wide-ranging industrial and other applications. Our PC Base Plates are manufactured using Vacuum Thermoforming Machines. Only 100% virgin Polycarbonate Resin (either Bayer or Sabic make) is used for the manufacture of our premium range of Base Plates. Our Base Plates are provided with a 30 Micron thick protective U.V. Coating on both sides to help guard against the degenerating effect of the harmful Ultra Violet Rays of Sunlight. Length options 5', 5.5', 6.0' 6.5'. 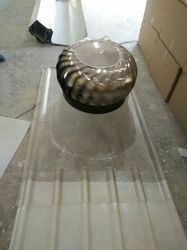 We are one of the leading manufacturers of a wide range of PC Domes for wide-ranging industrial and other applications. Our PC Domes are manufactured using Vacuum Thermoforming Machines. Only 100% virgin Polycarbonate Resin (either Bayer or Sabic make) is used for the manufacture of our premium range of PC Domes. Our Base Plates are provided with a 30 Micron thick protective U.V. Coating on both sides to help guard against the degenerating effect of the harmful Ultra Violet Rays of Sunlight. We are one of the leading manufacturers of a wide range of Polycarbonate Domes for wide-ranging industrial and other applications. Our Polycarbonate Domes are manufactured using Vacuum Thermoforming Machines. Only 100% virgin Polycarbonate Resin (either Bayer or Sabic make) is used for the manufacture of our premium range of Polycarbonate Domes. Our Polycarbonate Domes are provided with a 30 Micron thick protective U.V. Coating on both sides to help guard against the degenerating effect of the harmful Ultra Violet Rays of Sunlight. Looking for Polycarbonate Base Plate ?